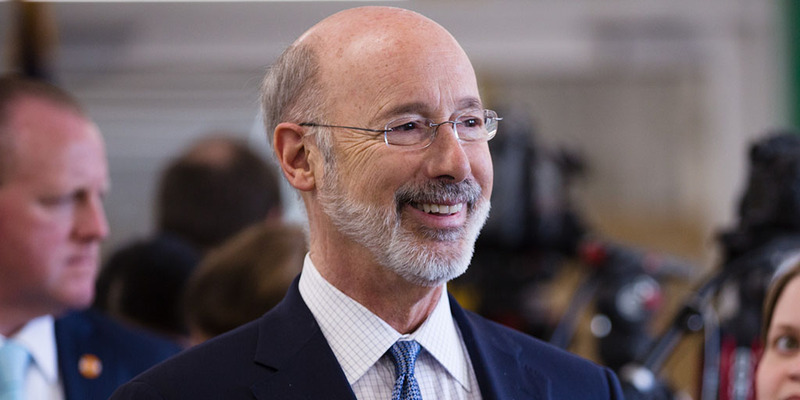 Harrisburg, PA – Today, Governor Tom Wolf announced that Lulus, a digitally-native apparel brand for women, will expand into Pennsylvania. The project is expected to create more than 450 jobs at the selected Northampton County project site. After evaluating several states as potential sites for expansion, Lulu’s ultimately selected a site in Palmer Township, Northampton County due to the strength of the workforce in the Lehigh Valley and across Pennsylvania. The site will serve as a new, 250,000-square-foot east coast warehouse and distribution facility. Lulu’s has pledged to invest at least $6 million into the project, which is expected to create 464 jobs over the next three years. Lulus received a funding proposal from the Department of Community and Economic Development for $464,000 in job creation tax credits to be distributed upon the creation of new jobs. The proposal also included a $208,800 workforce development grant to help the company train its existing workers. The project was coordinated by the Governor’s Action Team, an experienced group of economic development professionals who report directly to the governor and work with businesses that are considering locating or expanding in Pennsylvania. Founded in 1996, Lulus is a rapidly-growing lifestyle fashion brand for women that offers curated, quality products and a personalized online shopping experience. The company features a unique product assortment from the Lulus label and a curated selection of on-trend designers and brands. For more information about the Governor’s Action Team or DCED, visit dced.pa.gov, and be sure to stay up-to-date with all of our agency news on Facebook, Twitter, and LinkedIn.